Promotes cardiovascular and circulatory wellness. †Foods and dietary supplements containing at least 0.5 g per serving of phytosterols (plant sterols, plant stanols, or plant sterols and stanols, expressed as unesterified form equivalent) eaten with meals or snacks for a daily total intake of 2 g as part of a diet low in saturated fat and cholesterol may reduce the risk of coronary heart disease through the intermediate link of blood total and LDL cholesterol. 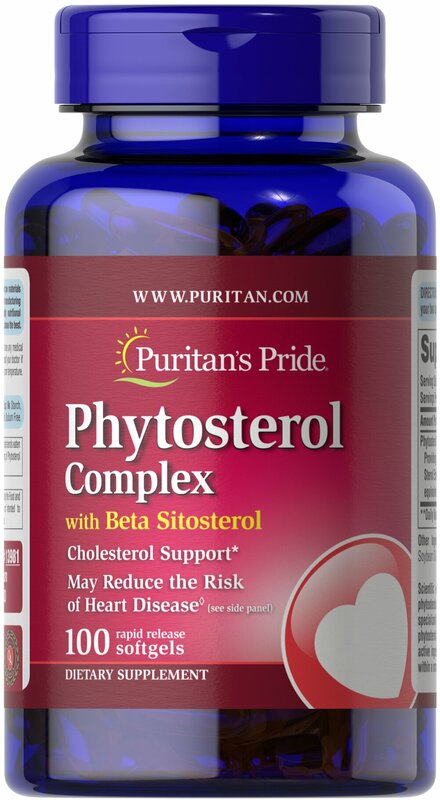 A serving of Phytosterol Complex provides 500 mg of phytosterols [plant sterols, plant stanols, or plant sterols and stanols, expressed as unesterified form equivalent].